Description: I have two boxes of these available. Condition: Opened and some cut from sprue. Description: One open box with some of the miniatures cut from the sprue. Should be enough to make 10 rangers as I bought some extra bodies from a bits site. Description: I have one box of these available. Condition: Pretty much brand new. Sat on shelf since bought. Description: Will sell these alongside the Rulebook. Reason for selling: Just don't have the time for them sadly or any real "need" for them just now. Lord of the Rings / Hobbit. I'm interested in buying the magic cards, sisters of the thorn and the eternal guard boxes. £65.00 total. You can send money via paypal or pay by cash on Thursday. I'll be at college on Thursday evenings for the next few weeks, so not sure what would be easiest to pick them up, you don't go to highlander games that much do you? I can pop along there any time. I might actually be there tonight! Only thing now is the Guardians of Morning Wood. 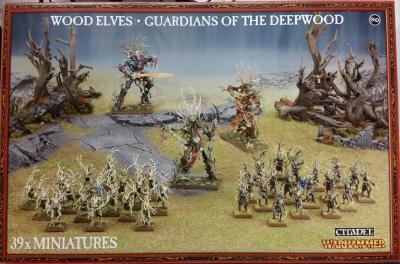 Subject: Re: WTS/WTT - Wood Elves - SOLD PENDING PAYMENTS!